Prepare for the holiday season with some help from our latest ebook on how to maximize your product sales. The Takeaway: Our new ebook will help you prepare your digital marketing and product merchandising strategy for the 2016 holiday season and beyond. You know what products your brand is selling this holiday season, but have you formed a digital marketing and product merchandising strategy to ensure those products move from the shelf to under the tree? To help you in your planning, we've pulled some reindeer (and brand manufacturers, retailers and other commerce experts) away from their summer activities to get their advice on how to best sell your products between now and December. 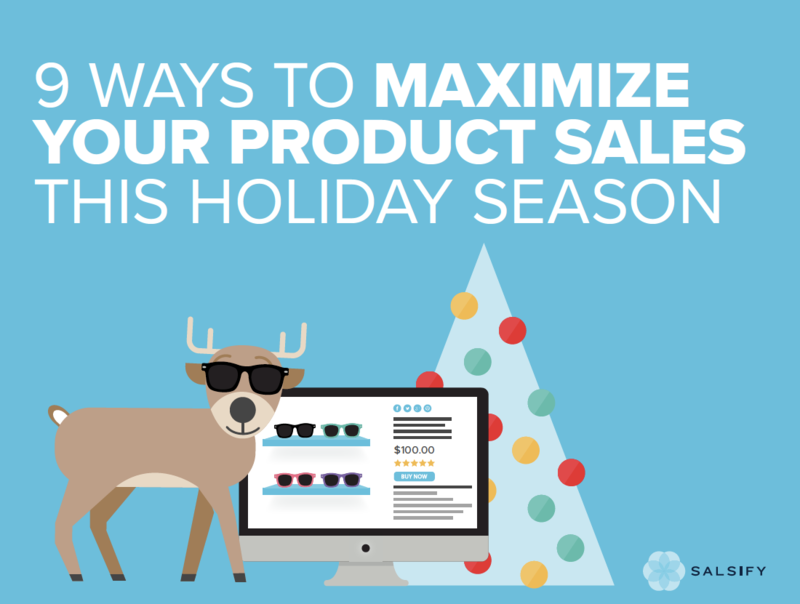 And we compiled all those tips and insight in our new ebook, "9 ways to maximize your product sales this holiday season." The consensus is that you need to focus on product content. After all, shoppers today research products online before even thinking about making a purchase decision, and 88 percent of consumers said that detailed product content is the No.1 reason why they decide to buy. Each reindeer/expert (we're counting Rudolph obviously, so there's nine) has some advice on how to improve your product content - from managing that information itself to optimizing your processes and establishing your ecommerce product strategy. For example, Garrett Bluhm, director of ecommerce at Hylands, explains the four essential components of the ideal product content team, while Jason Bell, senior retail search manager at CPC Strategy, provides some tips for optimizing product descriptions. You can download the ebook here and start preparing your holiday product content strategy today!